Jewish revival: The first religious public school in 25 years is been dedicated in Yafo (Jaffa). Arutz Sheva TV was there. The first religious public school in 25 years is been dedicated in Yafo (Jaffa) as part of the Jewish arrival in the ancient port city. 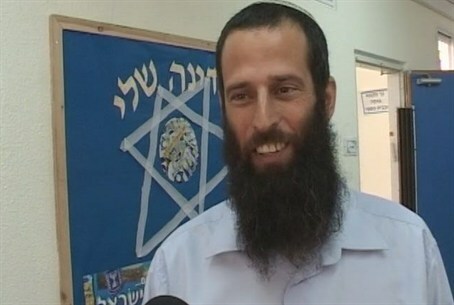 Rabbi Yisrael Meir Lau, Chief Rabbi of Tel Aviv-Yafo and former Chief Rabbi of Israel, attended the dedication, along with Education Minister Gideon Sa’ar and the “Garin Torani,” the national religious group that has helped reversed the loss of Jewish identity in the mixed Arab-Jewish city. The last time a religious public school was open in Yafo was 25 years ago. Besides the new school, a new visitors' center recently was dedicated to tell the story of the long history of the city, the port mentioned in the Book of Yona (Jonah) before he fled a commandment of HaShem to urge people in the city of Nineveh to repent. Yafo was the first point of entry for thousands of immigrants who walked on Yafo Road on their way to Jerusalem. The 2,000-year-old Jewish community in Yafo has declined in recent years as Arabs began to overrun the city, where poverty and crime were prevalent until the Garin Torani arrived four year ago and began to revitalize the city and reach out to Jews who remain in the area. The group started out with only a handful of families, whose numbers have grown to 150. Half of the group’s members have already bought homes in Yafo.